Good morning and happy Spring! Isn't it just glorious outside? Does this weather make you want to spend less or more time in the kitchen? If I were to guess, I would say less time in the kitchen, more time outside. Allow me to help you with that. You probably already know that I am a HUGE fan of the slow cooker. I use it year round and especially love it when I would rather be doing other things than sweating in the kitchen. (Side note: I get so hot when I cook. I've been known to turn the air down to about 60 degrees when putting a meal together. While I'm pretty sure that's not one bit energy efficient, it sure does make this girl a whole lot more fun to be around). 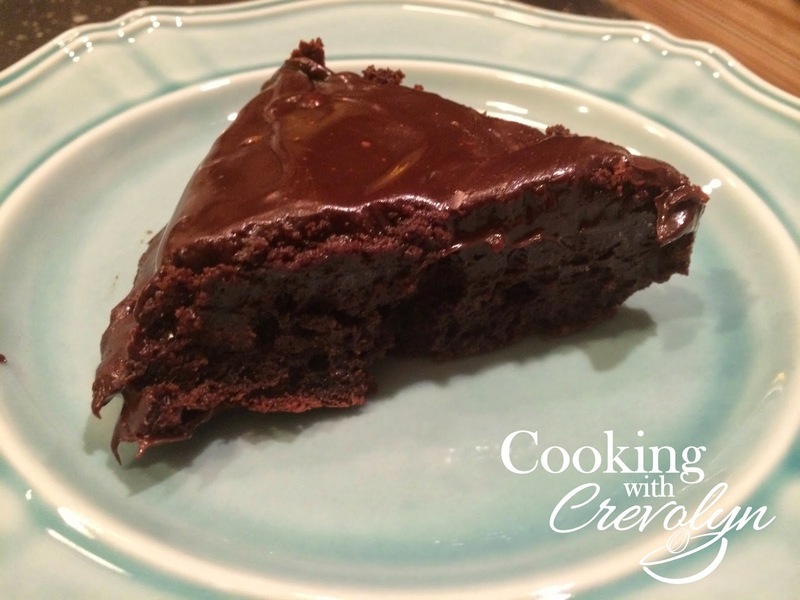 Anyway, all this week we are going to be using our slow cookers even for two fabulous (and could I mention that one has Heavenly Chocolate in the title) dessert recipes. You are going to thank me. I've made this chicken recipe a few times and every single time, I love it a little more. I'm not sure if you're familiar with hoisin sauce but it is an Asian barbeque-type sauce and can be found with other Asian products. The combination of the honey, soy sauce, blackberry jam and hoisin sauce is simply divine. 1. 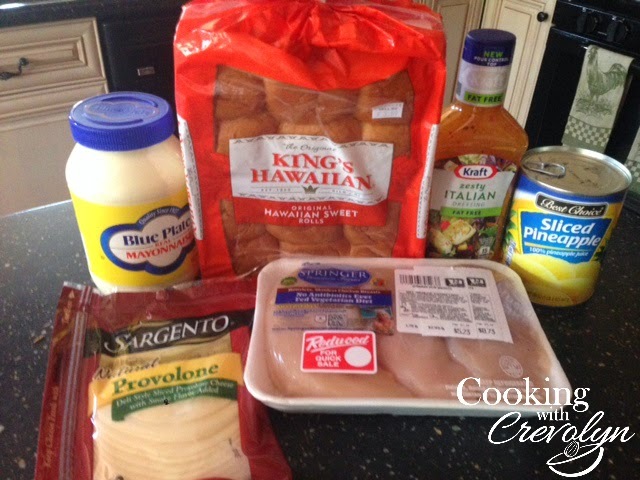 Arrange chicken breasts in the slow cooker so that they aren’t overlapping. 2. In a medium bowl, whisk together the honey, soy sauce, jam, hoisin, olive oil, garlic and red pepper flakes. Pour over chicken. Cover the slow cooker and cook on low for 4-5 hours until chicken is fully cooked. 3. Remove the chicken from the slow cooker. 4. In a medium saucepan, whisk together the cornstarch with 3 tablespoons of cold water. Transfer the liquids from the slow cooker to the saucepan. Turn the heat to medium-high heat. Bring the sauce to a boil and cooked until it reduces and has thickened slightly, about 3 minutes. Pour the sauce over the chicken when serving. 1. Preheat oven to 350 degrees. Line two baking sheets with parchment and set aside. 2. In a large bowl mix together butter and sugar until it’s smooth. Add egg and vanilla. Mix in baking powder and salt. 3. Slowly add flour and melted chocolate chips. Batter will be thick. 4. Drop by tablespoons onto prepared baking sheet. Makes approx. 24 cookies. Bake for 7-8 minutes or until cookies are just set. Do not over bake! 1. In a medium saucepan combine butter, cocoa powder and milk over medium heat, whisking until melted together. Remove from heat and whisk in powdered sugar. 2. Pour icing over cookies and allow to set before serving. 1. Preheat oven to 350 degrees. Line a large baking sheet with foil and spray with cooking spray. 2. In a large bowl, combine chicken, onions, eggs, panko crumbs, garlic powder, salt, blue cheese and ¼ cup hot sauce. Gently fold together to combine but don’t over mix. 3. Form the mixture into small meatballs, about 28. Place meatballs on the baking sheet and bake for 20 minutes. 4. While meatballs are baking, mix together remaining ¼ cup hot sauce and butter in a microwave-safe bowl. Microwave for about 30 seconds or until butter melts. Stir well. 5. Remove the meatballs from the oven and allow to cool for a few minutes. Place the meatballs on a serving dish and drizzle with hot sauce/butter mixture. It's Wednesday so another great article from Crevolyn. Click on over to the Gainesville Times site here or pick up a copy of the paper today. It's all about March Madness! 1. Brown ground beef in a large skillet. Drain the beef. Add in onion and garlic and cook until tender. 3. Top with sour cream and serve with tortilla chips. 2. Place scoops on a large baking sheet. 3. In a large skillet brown and drain the ground beef. Add the taco seasoning, cheese, salsa and cilantro. 4. Fill the scoops, each with about 1 tablespoon of ground beef mixture. Place in oven and bake for about 10-15 minutes. Top with a dollop of sour cream. Welcome to March Madness! All this week we'll be talking about recipes that are perfect for watching The Big Dance! We had these for supper last night and YUM! 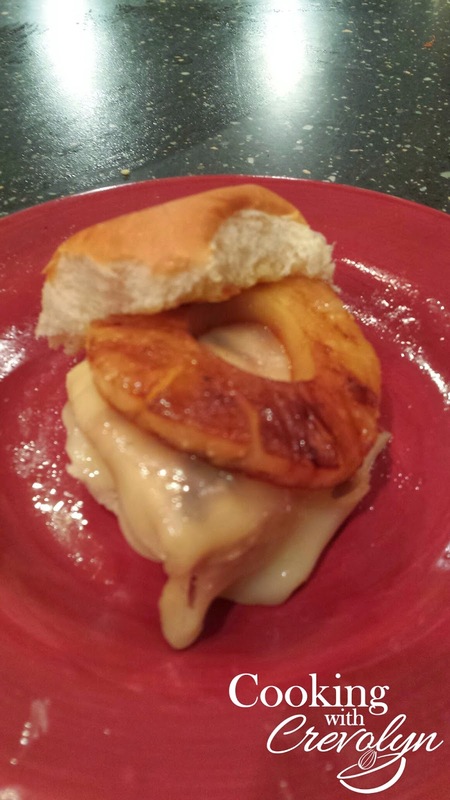 · 8 slices provolone cheese. 1. 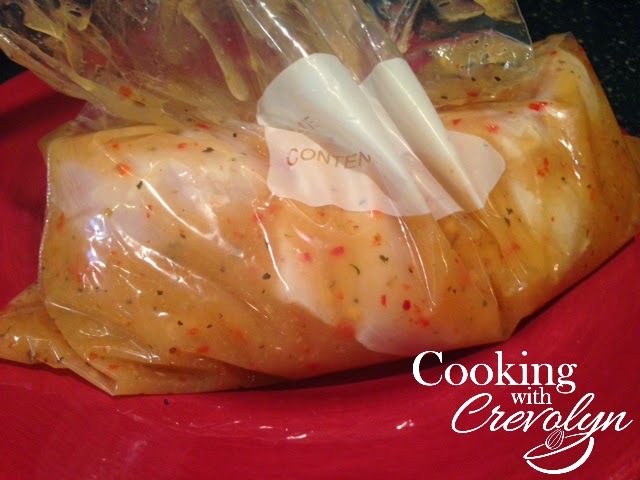 Place chicken and Italian dressing in a gallon size resealable bag. Refrigerate for about 2 hours. Remove from bag and sprinkle with salt and pepper to taste. 2. Spray a grill pan with cooking spray and heat to medium heat. 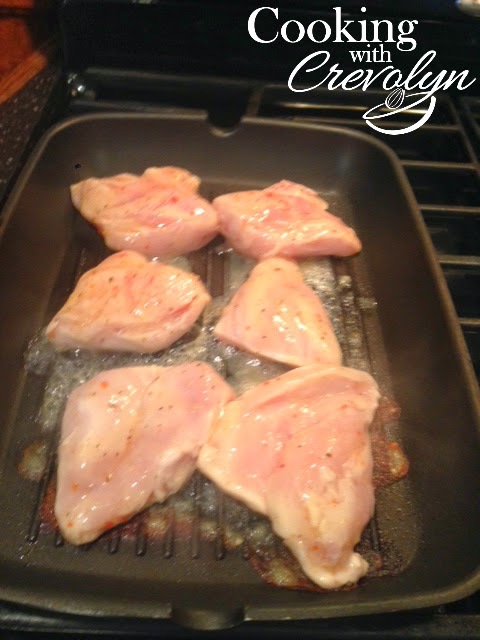 Grill chicken breasts until juices run clear and internal temperature is 165 degrees, about 10 minutes on each side. Remove chicken from pan and immediately place cheese on chicken. 3. 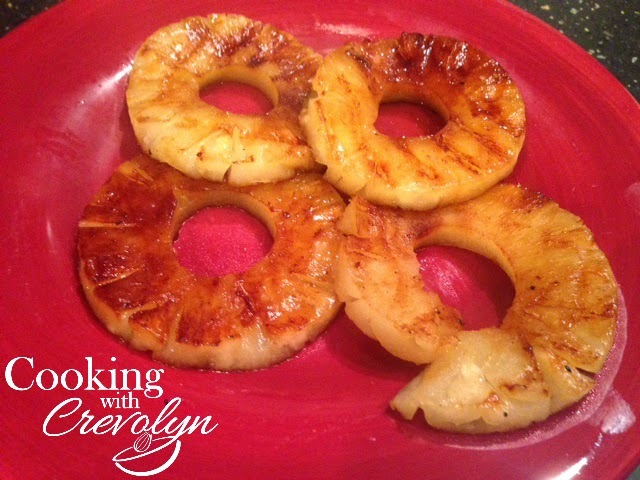 In the same pan, grill pineapple slices about 2 minutes on each side. Remove from pan and keep warm. 4. Spread about ¼ tablespoon butter on each half of rolls and grill butter side down just until browned. Remove and spread with mayonnaise or barbeque sauce. 5. 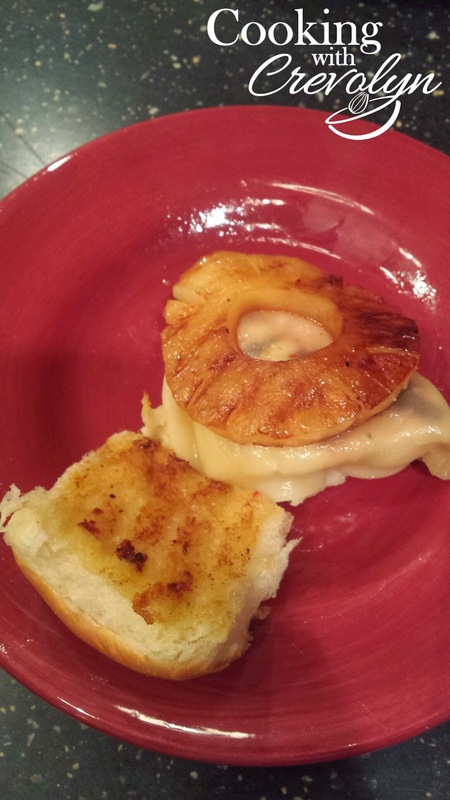 Assemble slider by adding chicken and pineapple on each roll. My friend, Molly had been telling me about this cake for months. She could not say enough good things about it. So I thought I would try it for Emily's family birthday dinner. Oh my word, it was just as delicious as Molly said it would be. Maybe better. We didn't even miss the flour. We all enjoyed a big slice with a cold glass of milk. The pictures of the cake with candles below are Emily's dad's attempt at humor. Just for the record, she is only 28. 1. Preheat oven to 375 degrees. Lightly grease an 8-inch round cake pan; cut a piece of parchment or waxed paper to fit the bottom of the pan. Grease it and lay in the bottom. 2. Put the chocolate and butter in a microwave-safe bowl and heat until the butter is melted and the chips are soft. Stir until the chips melt, reheating briefly if needed. 3. Stir in the sugar, salt and vanilla. Add the eggs, beating briefly until smooth. Add the cocoa powder and mix just to combine. 4. Spoon the batter into the prepared pan. 5. Bake for 25 minutes. The top will form a thin crust. Remove from the oven and let cool in pan for 5 minutes. 6. Loosen the edges of the pan with a knife and turn out to onto a serving plate. The top will now be on the bottom. Allow cake to cool completely before glazing. 1. Combine the chocolate and cream in a microwave-safe bowl and heat until the cream is very hot but not simmering. Remove from the microwave and stir until the chocolate melts and mixture is completely smooth. 2. Spoon the glaze over the cake; spreading it to drip over the sides. Allow the glaze to set for several hours before serving. Preheat oven to 375 degrees. Mix together refried beans and taco seasoning. Layer refried beans, rice and black beans on tostada shells. Sprinkle with cheese. Bake for 5 to 6 minutes or until cheese is melted. Serve with toppings. Stir in chili powder, cumin, cinnamon, cayenne pepper, and salt; cook 30 seconds, stirring. Add tomatoes, broth, and water; heat to boiling. Reduce heat to low; cover and simmer 15 minutes. Stir white kidney beans and pink beans into Dutch oven; cover and cook 10 minutes longer. Stir in frozen edamame and cook, uncovered, 5 to 7 minutes or until edamame are just tender, stirring occasionally. Stir 1/4 cup cilantro into chili. Garnish with sour cream and cheese. 1. Preheat the broiler. Whisk together the eggs, cream, ½ teaspoon salt and pepper in a medium bowl to blend. Set aside. 2. Heat the olive oil and butter in a 9-inch diameter nonstick ovenproof skillet over medium heat. Add the asparagus and sauté until crisp-tender, about 2 minutes. Raise the heat to medium-high. Add the tomato and a pinch of salt. Sauté 2 more minutes. 3. Pour the egg mixture over the asparagus mixture and cook for a few minutes until the eggs start to set. Sprinkle with cheese. Reduce heat to medium-low and cook until the frittata is almost set but the top is still runny, about 2 minutes. Place the skillet under the broiler. Broil until the top is set and golden brown, about 5 minutes. 4. Let the frittata stand 2 minutes. Using a rubber spatula, loosen the frittata from skillet and slide onto plate. 2. To remove bitterness, sprinkle eggplant with sea salt and let sit for about 30 minutes. Rinse and pat dry with paper towels. Dip eggplant in egg, then in bread crumbs. Place in a single layer on a baking sheet. Bake for 5 to 7 minutes on each side. 3. In a 9x13-inch baking dish spread half of spaghetti sauce to cover the bottom. Place a layer of eggplant slices in the sauce. Sprinkle with half of the mozzarella and Parmesan cheeses. Repeat with remaining eggplant, sauce and cheese. Sprinkle basil on top. 4. Reduce oven heat to 350 degrees and bake for 30 minutes or until golden brown. 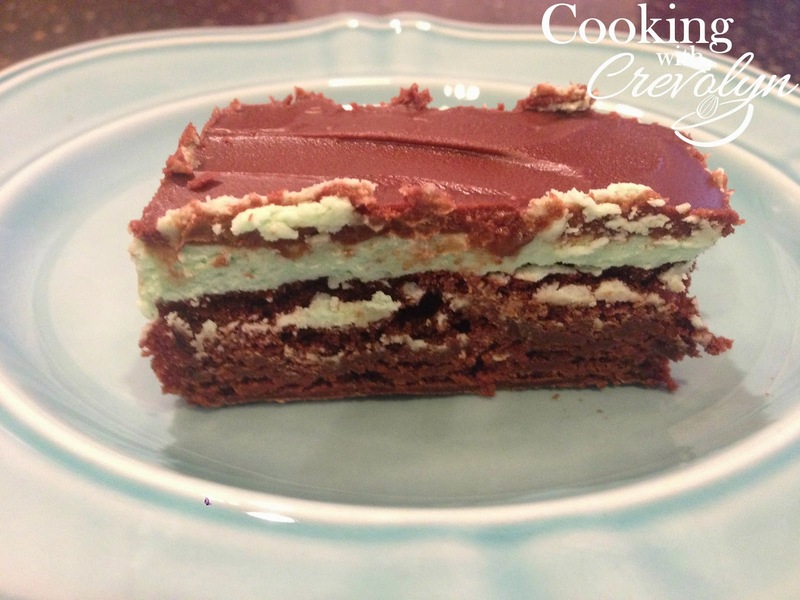 How about we celebrate St. Patty's Day with a yummy bar full of a brownie base, green minty center and chocolate glaze over the top? Okay, I think we shall. These are amazing and kinda like potato chips, you can't eat just one. So proceed with caution. Preheat oven to 350 degrees. Grease 13x9-inch baking pan. Place 1 cup (2 sticks) butter in large microwave-safe bowl. Microwave at medium heat for 2 minutes or until melted. Stir in granulated sugar and vanilla. Add eggs; beat well. Add cocoa, flour and baking powder; beat until well blended. Pour batter into prepared pan. Bake 30 to 35 minutes or until wooden pick inserted in centers comes out clean. Cool completely on wire rack. To prepare the mint cream center, combine powdered sugar, 1/2 cup (1 stick) butter, water, mint extract and food color. Beat until smooth. Spread evenly on brownies. Cover; refrigerate until cold. 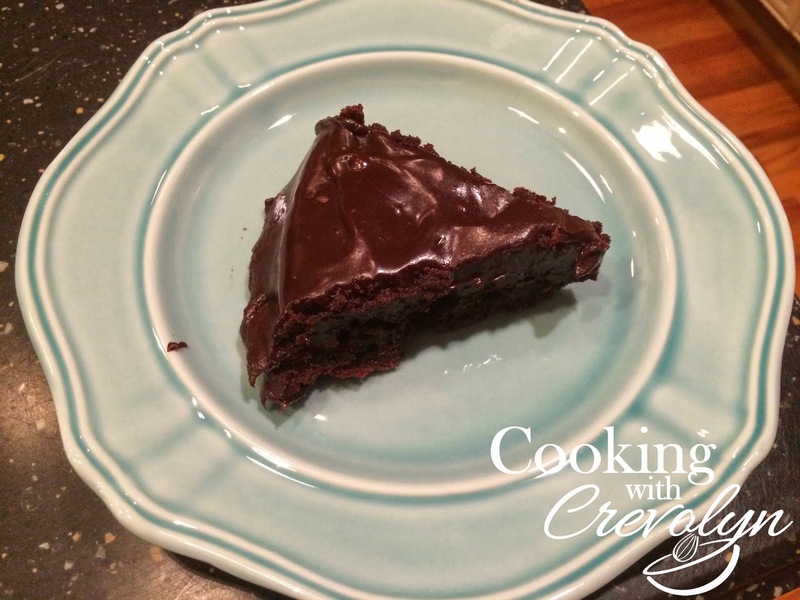 Prepare Chocolate Glaze by placing remaining 6 tablespoons butter and chocolate chips in small microwave-safe bowl. Microwave at medium heat for 1 minute or until mixture is smooth when stirred. Cool slightly; pour over chilled dessert. Cover; refrigerate at least 1 hour before serving. Last Wednesday, I had the great pleasure of speaking to a fabulous group of women known as the Commerce Club. I am a member of this group but let me just tell you, I feel like a boy among men, or more appropriately a girl among women. This group of professional women are smart, educated, articulate, creative, and each one accomplished in their respective fields. So why they asked me to speak, I'm not sure but I was honored to have the opportunity. We had the best time together. 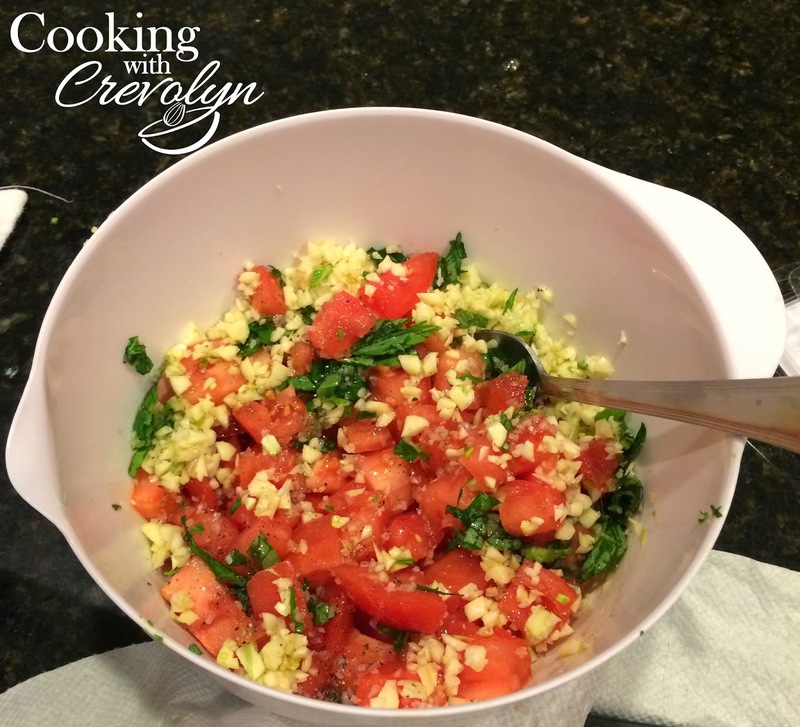 I talked about Spring Entertaining and shared several recipes. I mentioned this recipe and then didn't have a printed copy to give. So Commerce Club ladies (and all blog readers) below is the best recipe I've ever come across for scones. These would be perfect for a Mother's Day Tea or a baby or bridal shower. For some reason, scones seem to intimidate some but please don't let it get the best of you. 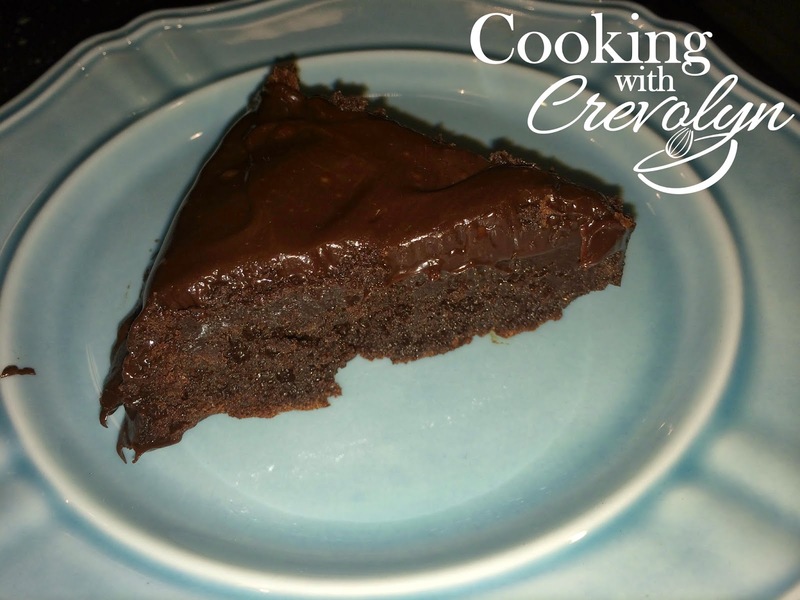 This recipe is easy and the results are amazing. I've listed several options for additions but feel free to make it your own. You'll be glad you did! Preheat oven to 350 degrees. Lightly grease a large baking sheet. In a large bowl, mix the flour, sugar, baking powder, cream of tartar, and salt. Cut in the butter. Stir the sour cream mixture and egg into the flour mixture until just moistened. Mix in the raisins (or whatever you prefer). Turn dough out onto a lightly floured surface, and knead briefly. Roll or pat dough into a 3/4 inch thick round. 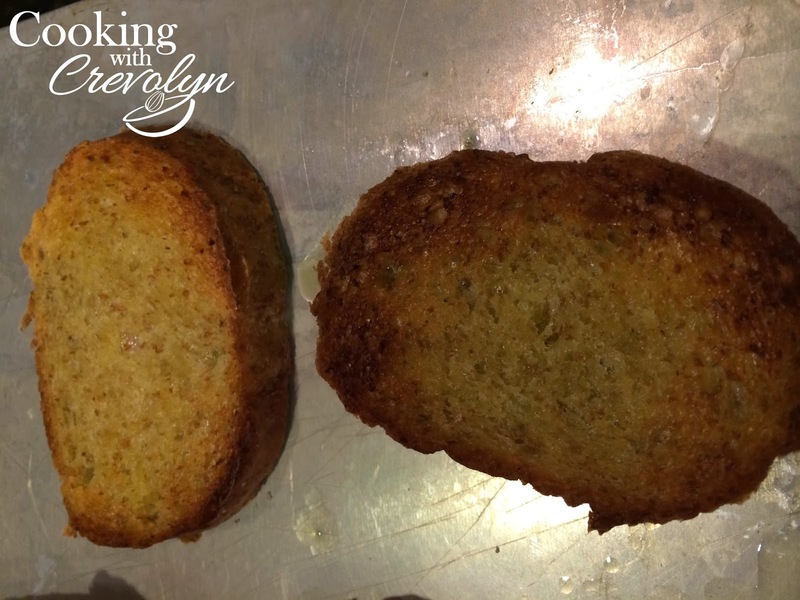 Cut into 12 wedges, and place them 2 inches apart on the prepared baking sheet. 2. Unroll pie crust and place in a 9-inch deep dish pie plate, pressing crust firmly into plate. 3. In a medium bowl, combine cream cheese, 1/4 cup sugar, 1 teaspoon vanilla extract, and 1 egg. Beat at low speed until smooth; set aside. 4. In another medium bowl, beat 3 eggs. Add remaining sugar, the corn syrup, and remaining vanilla; mix well. 5. Spread cream cheese mixture in pie crust. Sprinkle with pecans and slowly pour corn syrup mixture over pecans. 6. Bake 40 to 45 minutes, or until center is set. Let cool, then refrigerate 4 hours or until ready to serve. To Freeze: Once cooled, wrap pie in plastic wrap and then heavy duty foil. Can be refrigerated up to 1 month. 2. In a large skillet, cook bacon until browned. With a slotted spoon, transfer bacon to paper towels to drain. 3. Sprinkle chicken with ½ teaspoon salt. Cook chicken in bacon fat in 2 batches, 5 or 6 minutes per batch or until beginning to brown. Transfer chicken to a medium bowl. 4. Using the same skillet, heat 2 tablespoons olive oil on medium for 1 minute. Stir in flour and cook for about 7 minutes or until a deep golden brown color, stirring constantly. Gradually add in chicken broth, stirring with whisk to prevent lumps. Heat to boiling and boil 1 minute, stirring constantly. Remove skillet from heat. 5. In a large Dutch oven, heat remaining 1 tablespoon olive oil on medium-high heat until hot. Add celery, onion and pepper; cook about 10 minutes or until all vegetables are tender, stirring occasionally. Stir in Cajun seasoning, cooking about 30 seconds. Add chicken broth mixture, okra, tomatoes and remaining salt, heat to boiling on high. Stir in chicken chunks and bacon; reduce heat to medium and cook 10 minutes or until chicken is no longer pink inside, stirring occasionally. 6. Divide gumbo between 2 ungreased 9 ½-inch deep-dish pie plates. Top each with 1 sheet puff pastry, tucking pastry corners under to form a round top. Cut six 1-inch slits in pastry to allow steam to escape during baking. 7. Bake one pot pie for 35 minutes or until pastry to golden brown and puffed. Let stand 5 minutes before serving. Meanwhile, prepare second pot pie for freezing. To Freeze: Cover tightly with plastic wrap and heavy-duty aluminum foil. Freeze up to 1 month. Thaw in refrigerator for 24 hours. Let stand at room temperature 30 minutes and then bake as directed. 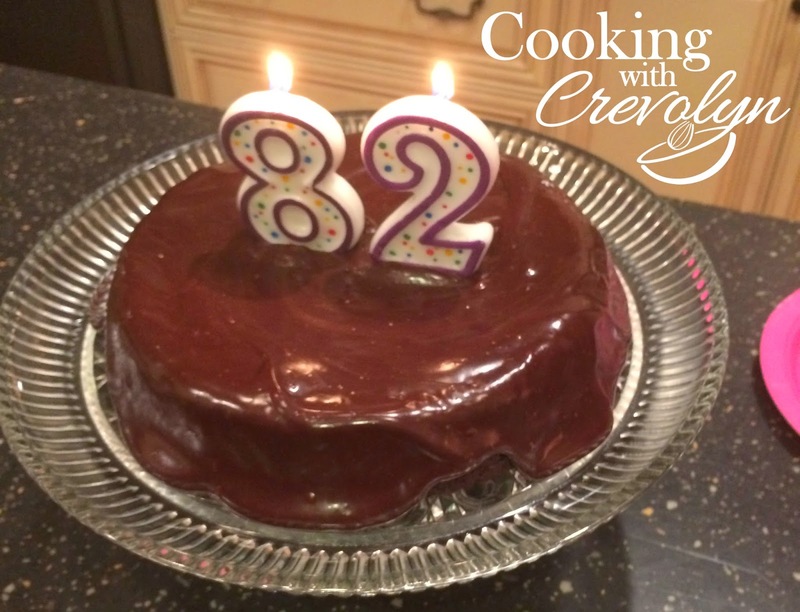 Birthdays are kinda a big deal is what this week's Cooking with Crevolyn column in the Gainesville Times is all about! Check it out here! 2. Using two forks, shred cooked chicken and set aside. 3. In a medium saucepan, combine cream of chicken soup, sour cream and chili powder. Bring to a simmer over low heat, stirring occasionally. Turn off heat and cover to keep warm. 4. Heat the butter in a skillet over medium heat. Stir in onion; cook and stir until the onion has softened and turned translucent, about 5 minutes. Add the shredded chicken, green chilies, taco seasoning, salsa, and cilantro. Allow to simmer for 10 minutes. Stir in lime juice, onion powder and garlic powder, simmer for about 5 minutes. 5. Stir 1 cup of the soup mixture into the skillet with the chicken and spread the remaining soup mixture in the bottom of a 9x13-inch baking dish. 6. Fill each tortilla with the chicken mixture. Sprinkle 1 ½ cups cheddar cheese divided equally among the tortillas over the chicken filling before folding the tortillas, reserving the other 1 ½ cups cheese for topping. 7. Fold tortillas over the filling and place seam-side down in the prepared pan. 8. Pour enchilada sauce evenly over the enchiladas. Cover with the remaining cheese. 9. Bake in preheated oven until filling is heated through and cheese is melted and bubbling, about 25 minutes. 10. Sprinkle with desired toppings. To Freeze: Prepare recipe as directed through Step 7. Cover with aluminum foil and freeze up to 1 month. To thaw, put in refrigerator overnight. Let stand at room temperature for 30 minutes. Proceed with recipe as directed in Steps 8 through 10. 1. Preheat oven to 325 degrees. Spread nuts on a rimmed baking sheet and bake until light golden brown about 10 to 12 minutes. 2. Warm honey in a microwave until the consistency of thin syrup. In a food processor, pulse honey, dates, cinnamon and oats until oats are coarsely chopped. 3. Scrape oat mixture into a medium bowl. Break up any clumps of dates and if needed, chop any large date chunks. Stir in nuts, cranberries and apples. Then add honey. Squeeze the mixture into a ball. 4. Line the baking sheet with foil and spraying with cooking spray. Using damp hands, firmly pat mixture onto foil into a compact 6x12-inch rectangle. 5. Freeze until rectangle is firm enough to cut, about 20 minutes. Lift rectangle from foil to a work surface and cut into 16 bars. Wrap bars individually. To Make Ahead: Will keep frozen for 1 month or refrigerated 1 week. All this week, friends, we are talking about recipes that work great for freezing and serving later. Because did you know that March is National Fix and Freeze Month? Who knew, right? I love to make double of something and put it in the freezer for when I have a busy day and get home late. This quiche is delish and so versatile. 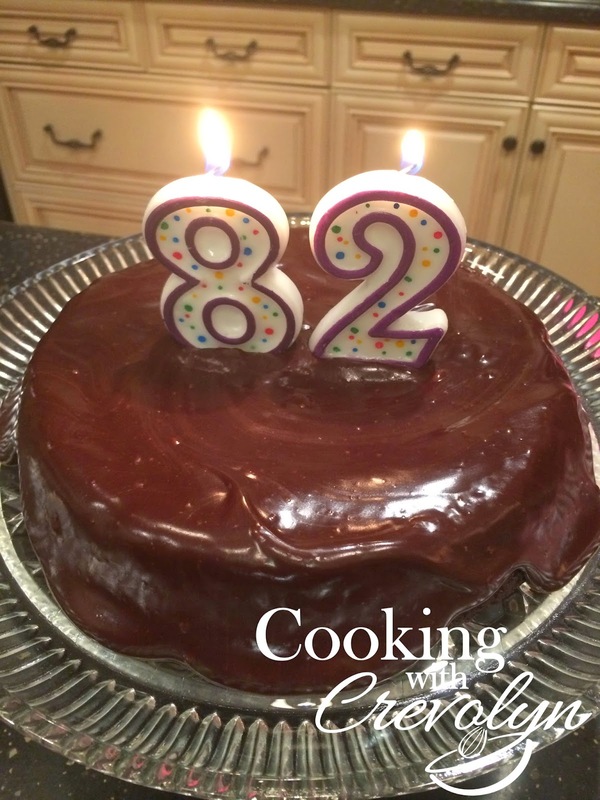 You can fix and freeze as a single recipe in a 10-inch pie plate; you can make it into a casserole to fix and freeze in a 9x13-inch casserole; or you can just plain fix ... and eat. Either way, it's awesome! 2. Thaw spinach and drain well, pressing it between paper towels. 3. Cook sausage in a large skillet or medium-high heat, stirring often, about 5 minutes or until sausage crumbles and is no longer pink. Remove from skillet and drain. 4. Bring broth, cream and salt to a boil in a large saucepan over medium-high heat. Gradually whisk in grits and return to a boil. Cover and reduce heat to medium-low and simmer, whisking occasionally, 12 to 15 minutes or until thickened. Remove from heat, stir in Asiago, pepper and ¾ cup cheddar cheese until melted. Mixture will be very thick. 5. Gradually stir about one-fourth of hot grits into eggs and then stir egg mixture into remaining hot grits. Stir in spinach and sausage until blended. 6. Sprinkle bottom and sides of a lightly greased 10-inch deep-dish pie plate with cornmeal. Spoon grits mixture into pie plate and sprinkle with remaining cheddar cheese. 7. Bake for 55 minutes or until set. Remove from oven to a wire rack and cool 30 minutes. To Freeze: Prepare recipe as directed through Step 6. Cover tightly with plastic wrap and heavy-duty aluminum foil. Place in a 2-gallon resealable plastic freezer bag. Freeze up to 1 month. Thaw in refrigerator for 24 hours. Let stand at room temperature 30 minutes and then bake as directed. Recipe may be doubled and baked in a 9x13-inch baking dish for 1 hour. Hi Y'all! I just wanted to jump on the blog today to give you a sneak peak of just a few of my favorite things in the kitchen. I seem to use the same ole items all the time so it was pretty easy for me to pick some to share. This mini spatula is also a hard working member of the kitchen staff. It's perfect for getting brownies, bars, or sheet cake pieces out of the pan. I use it instead of a knife to cut the slices of these goodies. It's also great for retrieving small cookies off of a cookie sheet. Again, Pampered Chef is the source. Now, that other little gadget you can hardly see is my newest favorite thing. I ordered it from Amazon right before Christmas and have used it all the time since. There are probably lots of different uses for it but I whisk my eggs with it, whether I'm scrambling eggs for breakfast or breaking them up to put in a recipe. It's the perfect little size for doing just that! Okay now for the big and gorgeous. I love this Kitchen Aid Mixer. These are a little on the pricey side but I believe it is totally worth if you use it a lot. Which I do. My slow cooker is the hardest working appliance in my kitchen. Granted using one requires some planning but if you get in that habit, it will change your life. For the better. So that's just a quick look around my kitchen. This was fun! We'll do it again soon! Preheat oven to 350 degrees. Grease and flour three 8-inch round cake pans. Beat egg whites until they form stiff peaks. Set aside. In a large bowl, cream togehter 1/2 cup butter and shortening. Add white sugar and beat till fluffy. Beat in egg yolks. Stir together flour and baking soda, and add alternately with buttermilk into the creamed mixture; mix well after each addition. Stir in 1 teaspoon vanilla, coconut, and 1 cup pecans. Fold in stiffly beaten egg whites. Spoon into prepared pans. Bake for 25 minutes. Test for doneness by touching the top of the cake with your finger. The cake is done if it bounces back up. Cool in pans for 10 minutes. Remove to wire rack sprayed with cooking spray to prevent sticking to cool completely. For the frosting: Combine cream cheese, 1/2 cup butter, confectioners' sugar, and 1 teaspoon vanilla in mixer bowl. Beat till smooth. Frost the cooled cake. The remaining 1/2 cup pecans can be stirred into frosting or sprinkled on the cake after it is frosted. Sauté onions and garlic in drippings. Stir in beef broth, water, tomatoes, carrots, basil, oregano, tomato sauce, and sausage. Bring to a boil. Reduce heat; simmer uncovered for 30 minutes. Stir in zucchini and parsley. Simmer covered for 30 minutes. Add tortellini during the last 10 minutes. Sprinkle with Parmesan cheese on top of each serving. 2. While lasagna noodles are cooking, brown the beef, crumble and drain. Stir in mushrooms, garlic powder, garlic pepper and spaghetti sauce. Simmer over medium-low heat for about 15 minutes. 3. Drain noodles and pat dry. 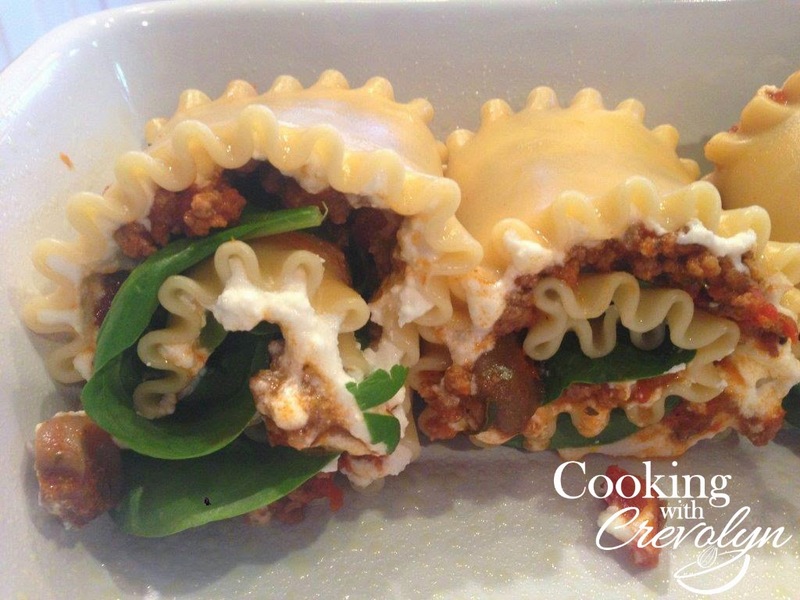 Lay out and spread ricotta cheese on each noodle then cover with meat sauce. Sprinkle with about 2 tablespoons cheese. 4. Roll noodles up and place seam side down in an 8-inch square baking dish. Top with remaining sauce and cheese. 5. Bake for 15-20 minutes or until heated through and cheese is melted. Okay, I've got to tell you, this is not my cooking in the kitchen today! This is my girl, Emily, showing off her fine culinary skills. She's too shy to tell you, so I will, she's a great cook. 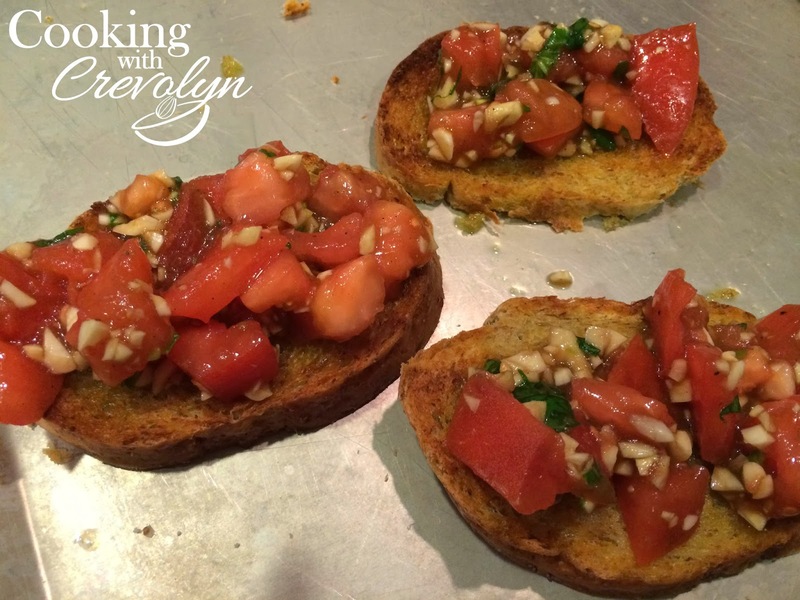 Check out this Bruschetta she made! 1. Dice the tomatoes, garlic, onion and basil. Combine and add olive oil, vinegar, salt and pepper. Let sit 30 minutes if possible. 2. Just before serving, turn on the broiler of the stove. 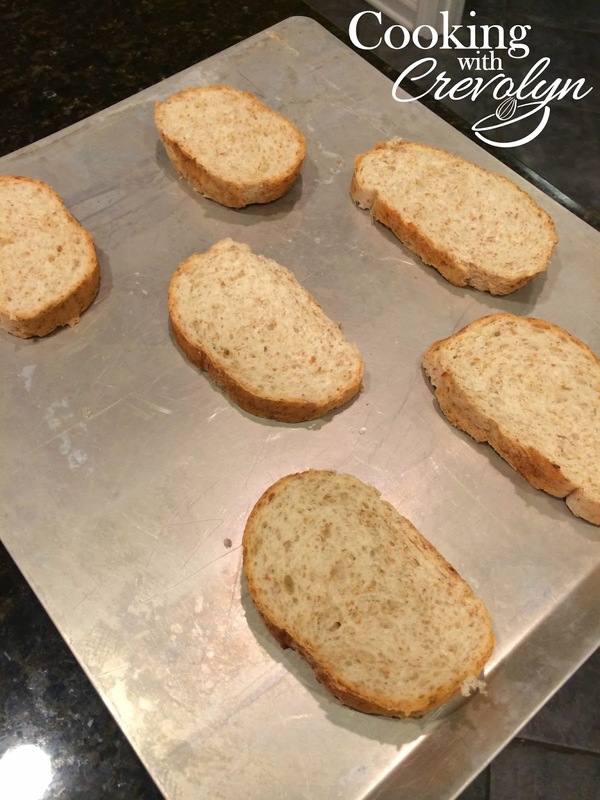 Arrange bread slices on a large baking sheet and brush generously with olive oil. Toast under the broiler for 1 to 2 minutes being careful not to burn. 3. Remove toasted bread from oven and spoon the tomato mixture on. Serve immediately. Ciao! That happens to be the only Italian word that I know so I just had to use it. As you might have guessed, around here all this week we are talking Italian food. We LOVE Italian food at our house in any shape, form or fashion. This fettuccini recipe is so easy and packs a punch in the taste department. I use mild Italian sausage but if you're feeling like you need to spice it up a little more, feel free to use the hot version. To make this meal complete, we added a salad but I'm thinking Emily's recipe for Bruschetta on the blog tomorrow would be a great addition. Enjoy! 1. While pasta is cooking, brown the sausage in a skillet over medium-high heat. Once cooked and crumbled, add the onion and garlic. Sauté for 3 to 5 minutes. 2. 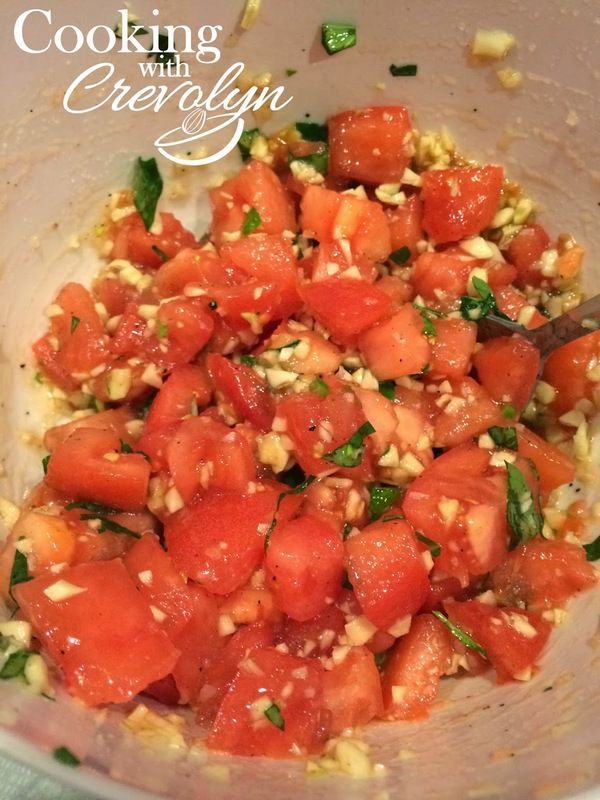 Reduce heat to low and stir in tomatoes, Italian seasoning, tomato sauce, salt and pepper. Simmer about 10 minutes and stir in cream. 3. Drain the pasta and stir into sausage mixture. Serve immediately and garnish with parmesan cheese, if desired.